The story goes that in Oct 2004, Mark Zuckerberg launched a website he and three of his classmates had dreamed up called Facemash. The website, featured side by side photos of Harvard students and asked users to rate who was hot and who was not. Harvard shut the site down within days, but not before it had become wildly popular. Four months later, after reworking his site into a vehicle where students could connect and interact with one another online, he launched Facebook. Today, Facebook has a stock market valuation of more than $230B and Zuckerberg is reportedly worth just shy of $35B himself. Facebook is a worldwide phenomenon at the center of social media. Social media's role as an access point to websites, electronic applications and blogs has become so popular and widely used, that it is rapidly replacing traditional sources such as newspapers and TV as the primary source for news and information. This is particularly true for the generation that has been raised around electronic information. The banking industry is also being swept up in the power of social media. Whether or not your bank has an active Facebook page and Twitter account, or has thus far remained on the sidelines, social media is something banks can no longer afford to ignore. Consider that most towns now have Facebook groups where residents share everything from recommendations for plumbers and contractors, to the banks they like most and those banks where they have had bad experiences. Given this reality, every bank should have someone who devotes at least a few minutes each day to looking for any mention of the bank and responding to any criticisms posted online. Mining online interactions can also be a good way of learning about specific things customers in their communities are looking for in banking. As traditional print media slowly is driven out of business or pushed online, social media matters more and more. As such, perhaps with the exception of small community newspapers, print advertisements are no longer your best use of marketing dollars. Social media marketing is unavoidable - a reality that has already led most of the industry's largest banks to devote significant time and resources to social media campaigns. 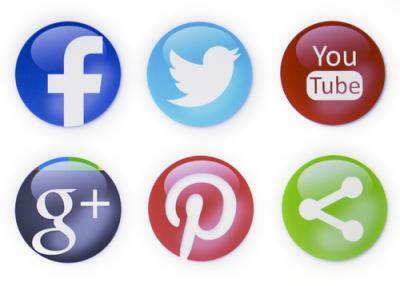 As a result, the FFIEC has created some general guidance for banks around social media. FFIEC notes that while venues like Facebook can be great for marketing, they can also open banks to potential regulatory violations and even potential security breaches or liability. Specifically, FFIEC notes that banks must be cognizant of the potential for online activities to violate the rules surrounding everything from truth in savings, fair lending, truth in lending, advertising of insured products and even customer privacy. Because of such concerns, FFIEC suggests that banks develop social risk management programs that focus on managing and mitigating risks. In addition, FFIEC recommends that the latest technology security practices are taken into account, all the way through to the technology service providers of the various social media platforms. Banks using social media should also keep employees up to date on the latest regulations and to make them aware of the risks it potentially creates for the bank. Keeping employees educated about the risks and rewards of social media makes good sense because trial and error is all part of this, and has been since its birth. After all, one could argue that even Mark Zuckerberg didn't get social media right straight out of the gates. Treasury yields were flat to up 1bp in quiet summer trading. With no economic releases, the markets will gauge the timing of Fed tightening and look to international news. A Deloitte survey of CFOs at major companies finds: nearly 95% of US companies say they are shifting financial responsibility for health care coverage to employees. CFOs overall said they are employing the following strategies to manage health care costs and approximate percentages: greater employee financial responsibility through higher deductibles, co-pays, etc. (79%); narrow or high-performing provider networks (39%); changing benefits offered/discontinuing categories (23%); having on-site clinics (18%); and reducing major medical benefits for actives (17%). Meridian Compensation Partners research of executive compensation finds the following are the most common long-term performance measures: total shareholder return (54%); other (27%); operating income (EBIT/EBITDA) at 22%; EPS (20%); return on invested capital (19%) and sales/revenues (15%). A Bank Director survey on compensation finds the Top 5 issues where boards spend the most time are: lending (56%); regulatory compliance (50%); risk (39%); audit compliance (31%); and business development (22%). A Deloitte survey of global risk managers finds the Top 5 practices organizations employ regarding compensation are: requiring a portion of the annual incentive be tied to overall corporate results (72%); balance the emphasis on short and long term incentives (64%); using multiple incentive plan metrics (62%); deferred payouts linked to future performance (61%) and payment in company stock (58%). A report by CreditCards.com finds 20% of people have spent $500 or more on a purchase without their partner's knowledge. Meanwhile, the same report also found about 7.2mm people (2.3% of US population) say they have hidden a bank or credit card account from their live-in spouse or partner. Data Breach Today reports the Internet Crime Complaint Center says over the past year 992 US businesses and consumers have seen $18mm in losses due to ransomware (locks up the victim's system until monies are paid) known as CryptoWall. Pew Research reports the use of reloadable prepaid cards climbed 50% from 2012 to 2014.